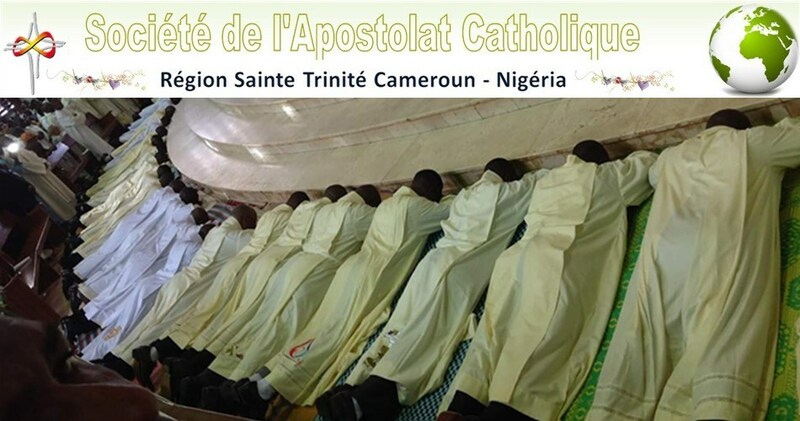 The 26th of October saw the solemn sending on mission of two pallottine priests of the Holy Trinity Cameroon-Nigerian region, namely Rev. Fr Benoît Magloire ATEMENGUE, sac and Rev. Fr Guy Sylvain ATANGANA, sac. 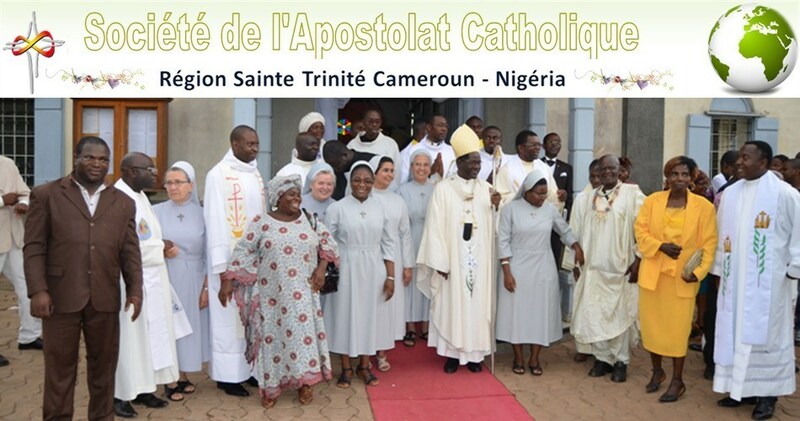 This event which started at 6.00pm at Maison Pallotti (the pallottine’s theological formation house in Yaoundé Cameroon) was a remarkable one because of the immense faithful who came also to bid farewell and to wish their formal parish priest and vicar a fruitful mission in Italy. In his welcome address, Rev. 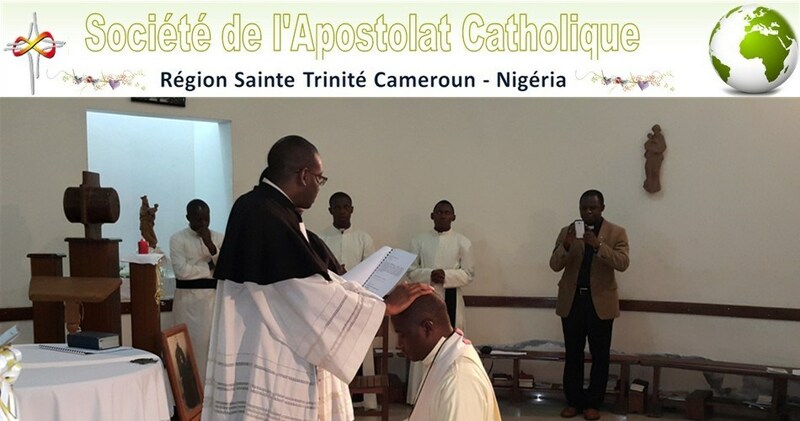 Fr Aloyse Kisito Patrice ESSONO, who is the rector of Maison Pallotti presented briefly these two Pallottine missionaries: Rev. Fr Benoît Magloire ATEMENGUE joined the pallottines in 1994. 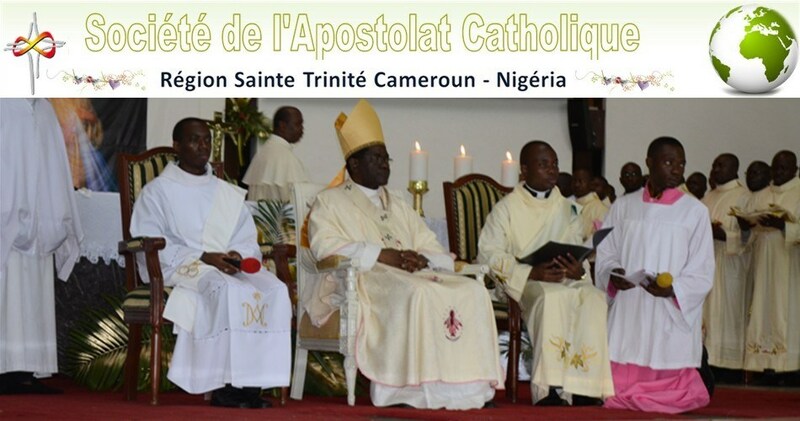 He did his noviciate and philosophical studies in Cameroon, and his theology studies in Kenya and was ordained in 2003. As for Rev. 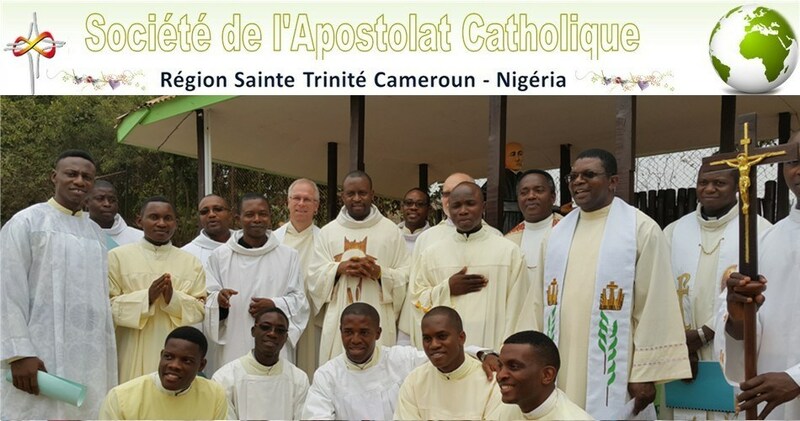 Fr Guy Sylvain ATANGANA, he joined the pallotines in 2000, novitiate in Rwanda and philosophical and theological studies in Cameroon. He was ordained in 2009. 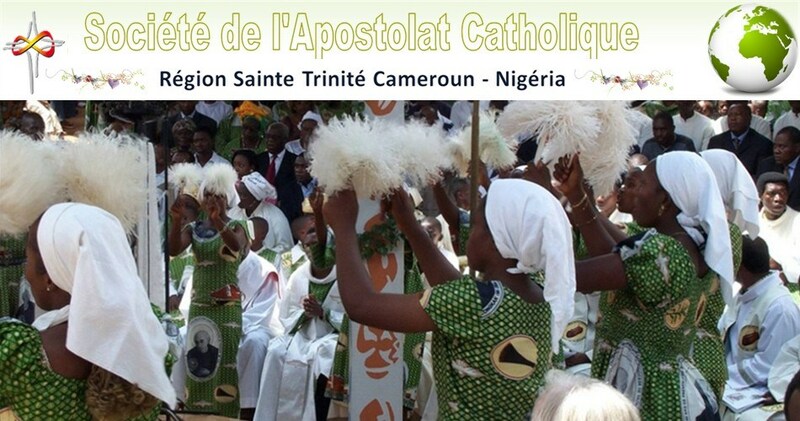 The holy mass was celebrated by the vice regional of the Holy Trinity region Cameroon-Nigeria, in the person of Rev. 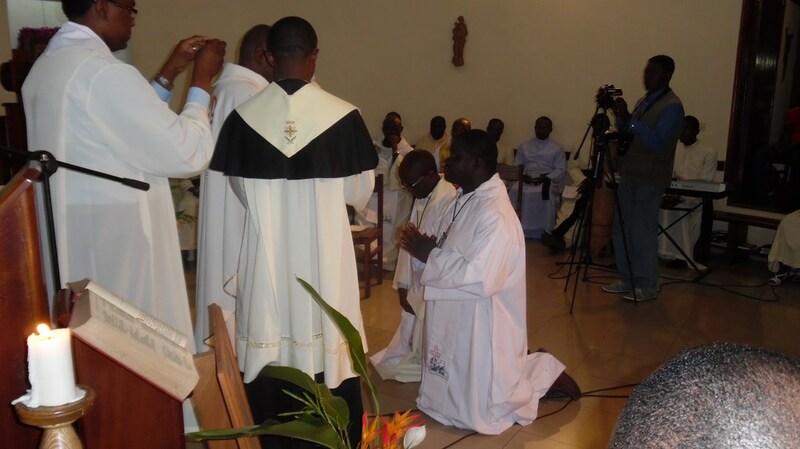 Fr Florent ELOUNDU, sac and about 14 concelebrants, of which 3 were diocesan priests. In his homily, Rev. 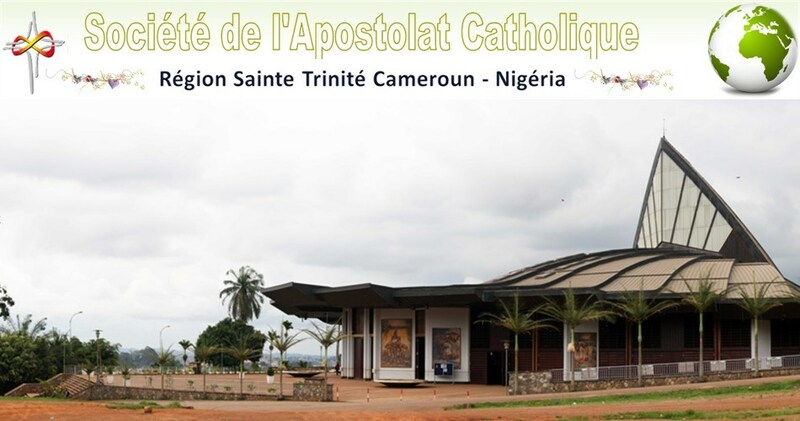 Fr Florent ELOUNDU praised the courage of these two missionaries, who voluntarily accepted the calling of Christ in another land far from theirs, without minding the difficulties and the challenges which awaits them there. He advised them to let the light of Christ to shine through them, so that through their way of doing, many souls will be won for Christ. Promising them of the community’s fervent prayer on their behalf, after the homily, the vice regional called down the blessings of God upon them and handed over to them the missionary crucifix (according to the pallottine rite of sending on a mission) which will always remind them that they are participants in Christ mission on earth and He alone must be their model. Then after the blessings, the two missionaries recited the Credo, which affirms their solid faith in one God in three persons and in one Catholic and Apostolic Church. At the end of the Eucharistic celebration, Rev. 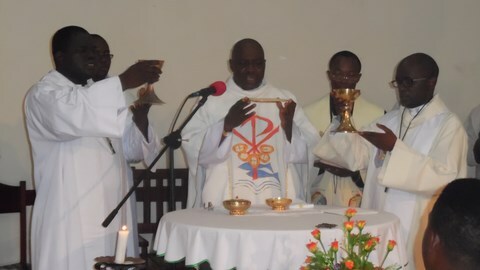 Fr Benoît Magloire ATEMENGUE and Rev. 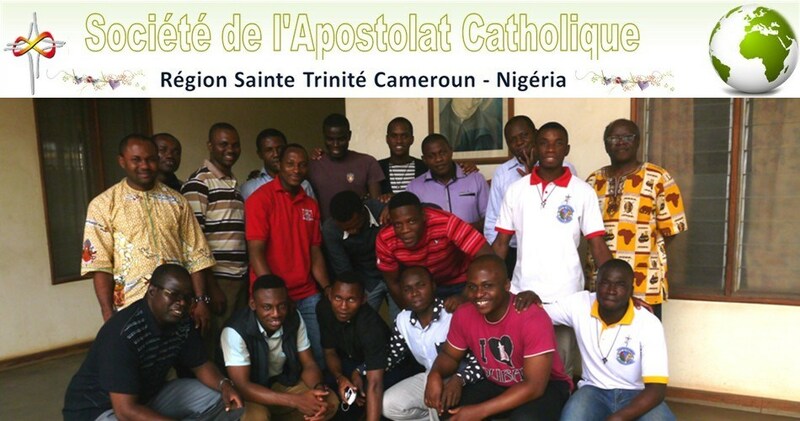 Fr Guy Sylvain ATANGANA, shared a fraternal meal with everyone present, and all went happy, though a bit sad because they will miss their loved ones. 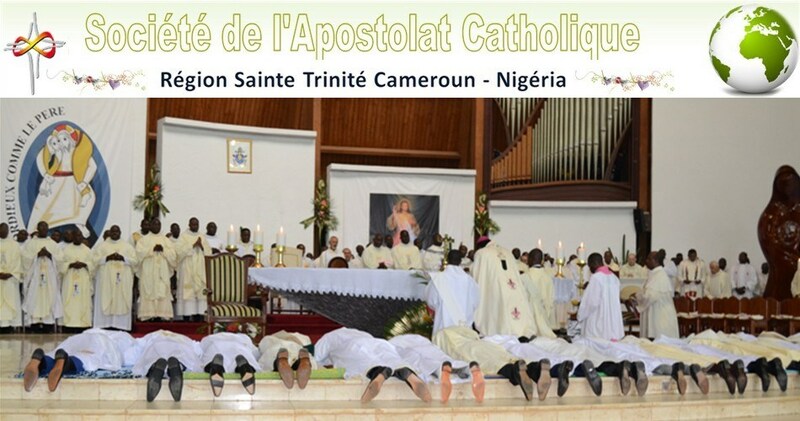 While giving thanks to God almighty for his infinite graces bestowed on Rev. 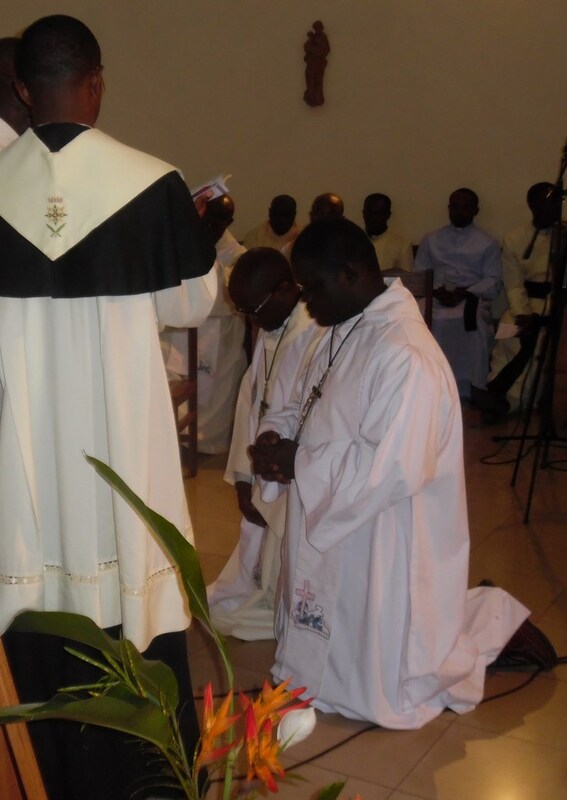 Fr Benoît Magloire ATEMENGUE and Rev. 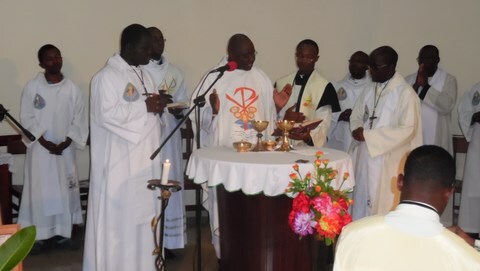 Fr Guy Sylvain ATANGANA, we plead with Him to fill them with his Holy Spirit, so that He will provide them with all that is necessary for their mission and enable them to carry out their pastoral duties effectively and yield good fruits for the greater glory of God.